For years you have been piecing together your vision for a perfect home, carefully pouring every last little detail until you finally feel it’s time to take the next step. All you need to do is hand these precious plans over to a capable team of building experts. Once in the right hands, ours in fact, anything is possible. Buckley Brothers Homes are expert homebuilders with a passion for crafting unique living spaces. Our team will take the time to pour over what you have created, with the aim of aligning our vision with your own, effectively ensuring that the finished result is everything you hoped for. With our help, your well conceived plans and designs can quickly and easily become a stunning reality. We discuss and assess your plans and designs, ascertaining schedules, expectations and seeing to any refinement or changes if needed. This stage is our chance to get all involved in the build on the same page. Before any work can be done, we need to be sure that not only are we in agreement as to what is being created but also that we are constructing something that is line with local council requirements. This is where the magic happens – your vision can finally come to life. As a bonus to you, over the course of the build we will regularly discuss progress, schedules and expectations to further ensure that we are heading in the right direction. That’s all it takes to bring all your planning to fruition. With our help your dream home is possible. Put your plans in our hands and watch the magic happen. 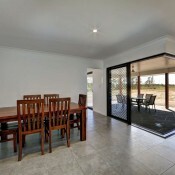 Call Buckley Brothers Homes on 0417 608 881 (Dan) or 0402 132 912 (Jesse) today.